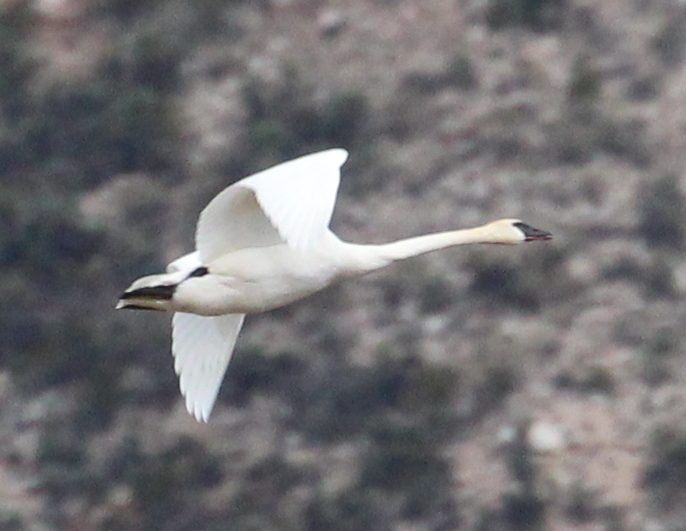 Though apparently increasing, Trumpeter Swan remains very rare in Arizona, with nine accepted records and several more pending. Swan identification can be extremely difficult, but adults are generally straightforward. Identification relies mainly on details of the bill. 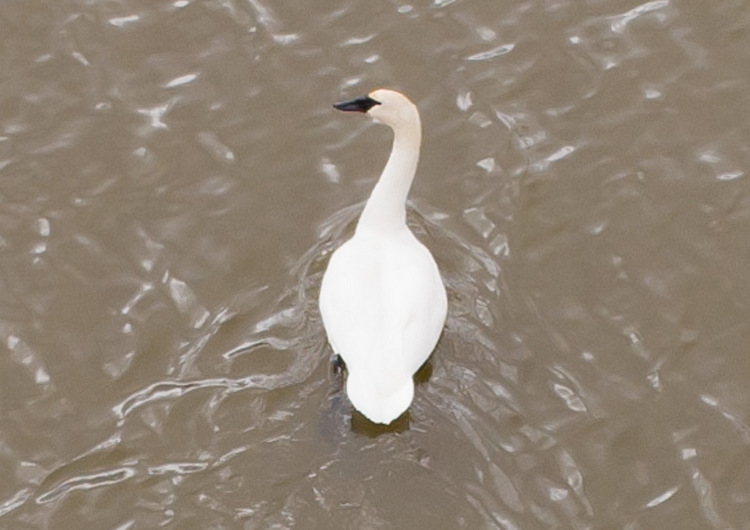 Most adult Tundra Swans have a yellow loral spot, but 1-2% lack such a spot. 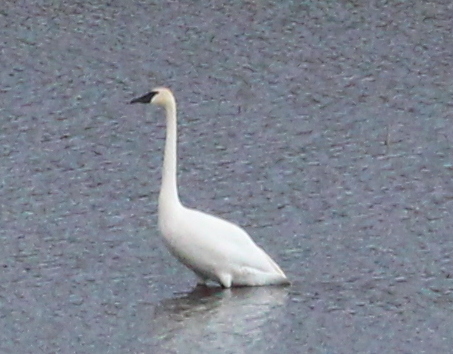 This bird lacks the loral spot, typical of Trumpeter Swan. Trumpeter Swans have a straight edge down from the eye between the facial skin and the feathers, whereas in Tundra this is more curved or kinked, but there is variation in this trait. This bird has a salmon-colored grin streak which is always present in Trumpeter Swan, less often in Tundra. Tundra Swan usually, but not always, has a narrow strip of black loral facial skin that makes the eye seem separate from the black bill. Most Trumpeters, including this one, have wider facial skin that makes the eye seem visually part of the bill. 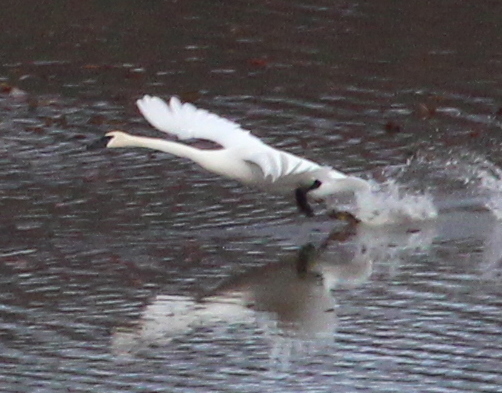 Finally, the neck of Trumpeter Swan is relatively longer, often held in a strong S-curve.